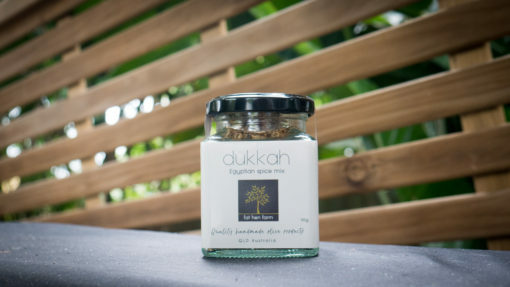 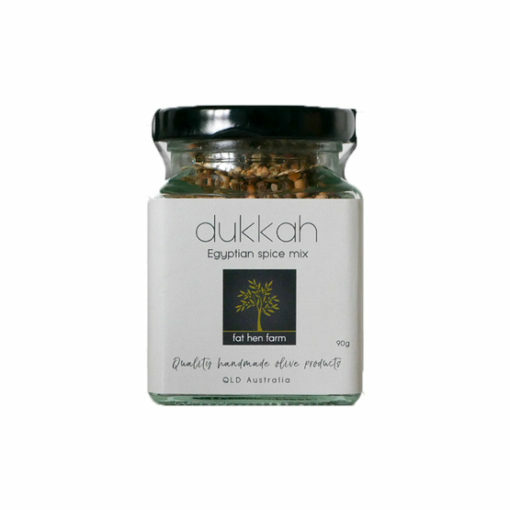 Fat Hen Farm Dukkah – Egyptian Spice Mix, is a crunchy blend of roasted spices, nuts and seeds. 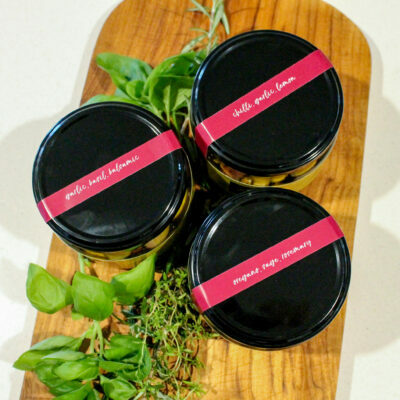 It is extremely versatile and especially delicious! 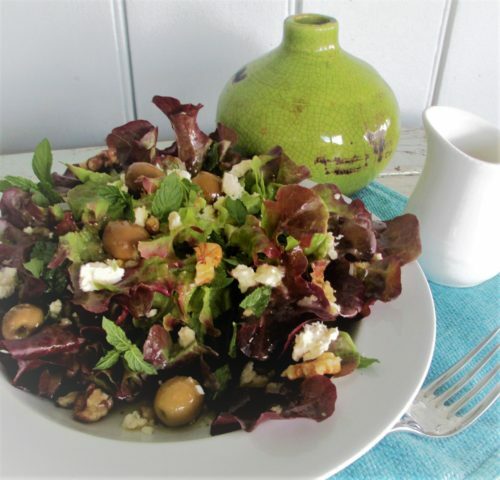 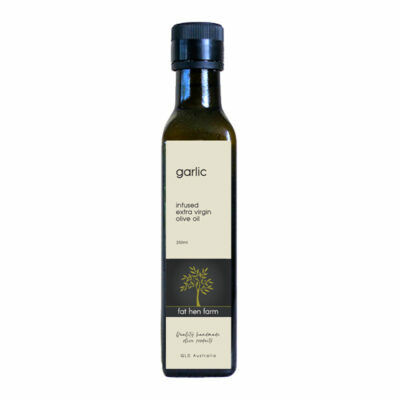 It’s perfect for serving as a pre-dinner snack with our extra virgin olive oils and goes especially well with the Lemon Myrtle Infused extra virgin olive oil. Your can sprinkle it on salads, stir-frys, noodles, soup…….anything you like really! 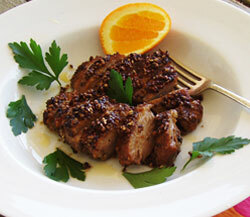 It’s also great for crusting the edge of fish or meat – such as lamb cutlets or chicken pieces before pan-frying.